Bill James (yes, his name is here again) once wrote about how he didn’t like the terms overrated and underrated. His point was that there really are no official ratings for most things in life and, therefore, how can anything be underrated or overrated? OK, good point, but this post from thrillist.com is about the ten most underrated American cars, at least according to the author. Some of these cars will be familiar to those of you who read this blog. 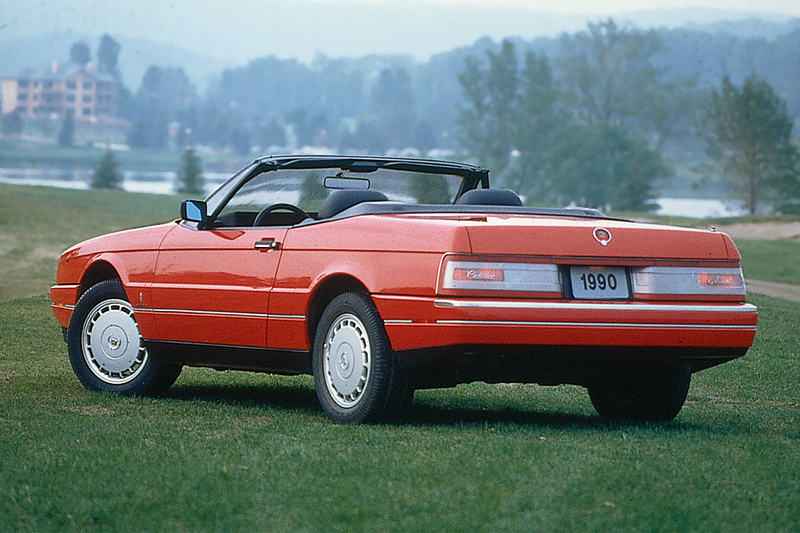 At #10 is one of my favorites, the Cadillac Allante. From the thrillist piece: “A spiritual predecessor to the Corvette-based XLR, the Allante was somewhat ill-received because it was front-wheel drive and thus didn’t have world-crushing handling. 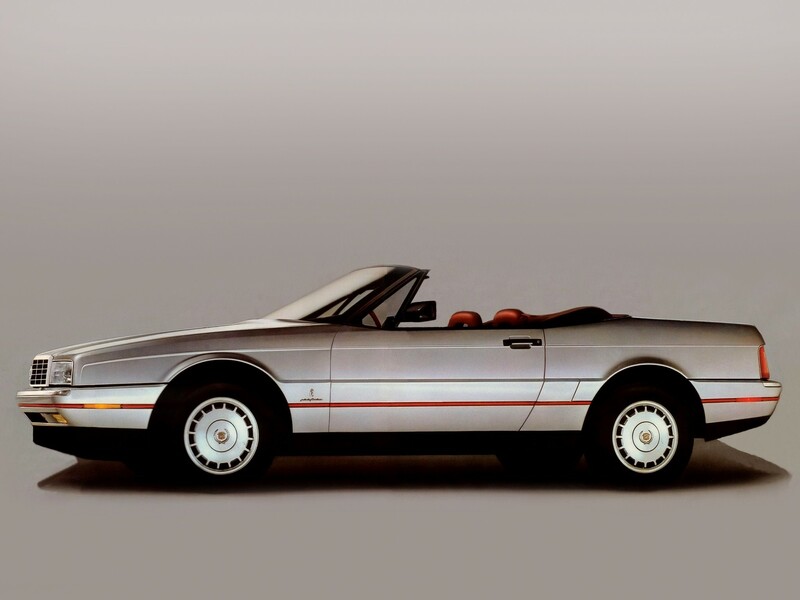 The rest of the car was an odd mix that involved Pininfarina (the same Italian design house that’s responsible for scores of your favorite Ferraris over the years) building the bodies in Italy, flying them to Detroit, and mating a decent chassis and V8 to the car. If you’re just cruising around, it’s hard to argue against its value.” It was also ill-received because it was under-powered at first (170 HP/235 LB-FT of torque for its first two model years, 1987 and 1988) and fraught with quality issues. Many car “experts” argue with the claim that Nader’s book killed the Corvair. Those “experts” believe it was actually the Ford Mustang that killed the Corvair because the Mustang was more versatile. For example, the Mustang, which was released in April of 1964, was offered with many engine options, including various V-8s. It was impossible to put an 8-cylinder engine into the Corvair. (Nader’s book was published in 1965.) The story of the Corvair is quite interesting and I think the best history of the car is in Engines of Change: A History of the American Dream in Fifteen Cars by Paul Ingrassia. The Corvair is another way to get into the car hobby without taking out a second mortgage. I did a search on Hemmings of second generation Corvairs (1965-1969). I found two that look decent and were priced under $10,000. I think the second generation cars look much better than the first and had the “bugs” worked out. What cars do you think are underrated? Do you think that the concepts of underrated and overrated are valid? By the way, I am still hoping for honest, constructive feedback about Disaffected Musings. I am very proud of this blog, but maybe I am missing something that can only be seen by someone with a different perspective. If you’re here after clicking on a link from Hemmings, welcome. Please feel free to bookmark the blog URL (https://disaffectedmusings.com) and to visit often. Thanks. “Cheap” Cars At Auctions Do Exist! 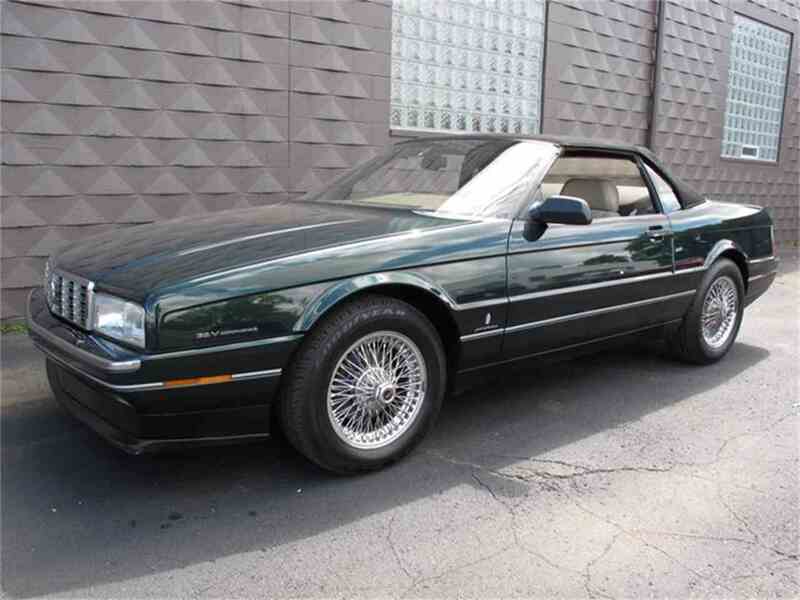 From consumerguide.com a picture of a 1990 Cadillac Allante. Once again, Mecum does not allow online photos of its lots to be captured or I would have shown a picture of the actual car. I realize that my affinity for these cars is WAY higher than 99.9% of the car fanatic population. Still, want to guess what the hammer price was? $1,500! Even Kelley Blue Book puts a higher value on these cars than that price. OK, with the premium the buyer actually paid $1,650. Auctions are not venues of complete integrity. The auction companies make absolutely no guarantees as to the quality of the cars. It is the definition of caveat emptor, buyer beware. In fine print, the auction houses reserve the right to “bid up” cars sold with a reserve, a minimum price that must be met before the consignor will agree to sell. 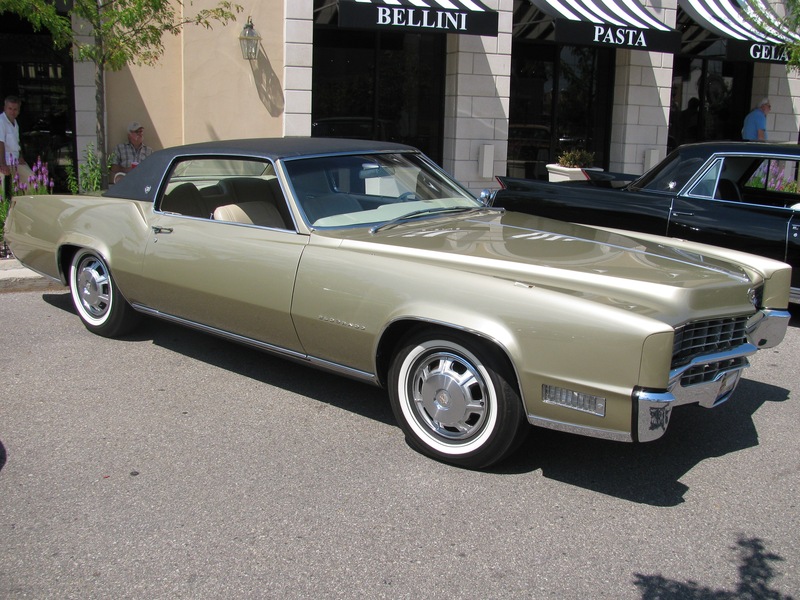 (The Allante in question was obviously sold at no reserve.) Also, don’t forget that two or three determined and well-heeled bidders can force the price of any given car way beyond its “market” value. Still, on occasion a car can be purchased at auction “below the market.” That probably doesn’t happen often, but it does happen as this Allante sale proves. Remember that one sale doesn’t make a market, so the fact that this particular car sold for such a low price doesn’t mean the next five will. For $1,650 plus whatever it would have cost for shipping I would have found a place to park this car. One of the allures of automobile auctions for me is the hope that, one day, I will buy a car because the price is just too tempting. My wonderful wife and I currently plan on attending the big Barrett-Jackson auction in Scottsdale, Arizona next January with her parents. I think the probability that her father buys a car, while not high, is also not zero. That’s OK because life should be enjoyed. I would very much like to read about your experiences with car auctions. Thanks. A friend once said to me that I should stop coming up with ideas and start developing them. Well, I’m not an engineer and I am not well connected. In general, no man is an island. I cannot develop an ecosystem out of thin air that would allow me to actually develop these ideas on my own or even let me do what I want to do for a living (assuming I knew what that was) and earn reasonable compensation. Almost all of us need some help on occasion. No one who can help has been willing to help me for a long time. From autoevolution.com a picture of a Cadillac Allante convertible with the optional hardtop in place. In my previous blog I often wrote of my interest in these cars. 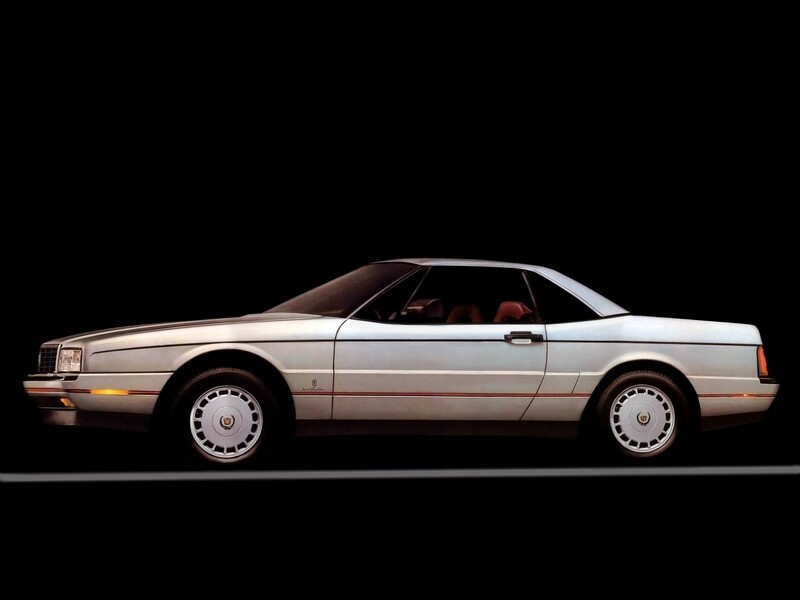 In fact, even though I am not a member I receive emails from the national Cadillac Allante/XLR club. The Allante was a failure; no other way exists to describe it. It was underpowered at first, very expensive and fraught with reliability issues. In its seven year run, only about 21,000 were produced. Many car enthusiasts have put the Allante in the same category as cars like the Pontiac Fiero in that as the Allante was finally developed into a good car, General Motors pulled the plug.